A total colectomy is a major operation and requires a three to seven-day hospital stay on average. During this time, the doctors and nurses will be working hard to keep your mother comfortable, watch for any complications, and ease her back into nutrition and activity. If complications do occur, they can extend your mother's hospital stay and increase her overall recovery time. She also might need more assistance when she comes home. For instance, if a surgical wound infection occurs, your mother's surgeon will most likely suggest homecare nurses to come and help you care for her wound until it has healed. There are several things you can do to prepare for your loved one's arrival home after surgery. Barring any complications, your mother should not require any additional assistance beyond what you can offer. 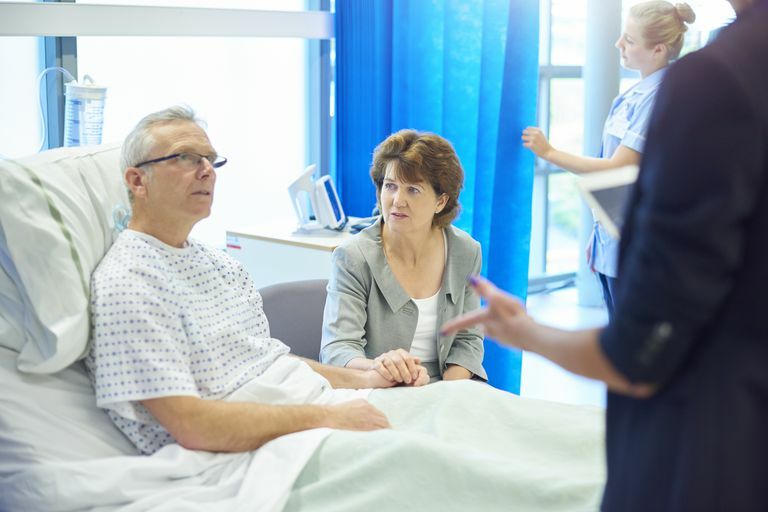 Things that many people take for granted, such as showering, moving around and using the restroom, become a challenge following abdominal surgery. If you have a split-level or two-story home, it may be difficult initially for your mother to ambulate up and down the steps to shower, rest, or go to bed. If you have a ground floor room available — preferably very close to a bathroom — that is best. Following a colectomy, most people will have up to six bowel movements per day. It might help your mother conserve energy if you have access to, or can rent, a bedside commode for a few weeks. Get a list of your mother's medications prior to surgery, and make sure that she has a good supply. If she takes multiple medications daily, a pillbox or planner might help to keep things organized. Upon her discharge from the hospital, the surgeon will probably give you prescriptions to control her pain and help her recover more quickly. Fill them immediately, as you never know when she may begin to feel uncomfortable after arriving home. Also, make sure you have her insurance card and ID when you go to pick the medications up. Check your mother's comfort frequently once she arrives home. Any medications given for pain at the hospital may begin to wear off and she might be in pain. Use the medications from her doctor as prescribed and be sure to call the doctor if the pain medications are not keeping your mother comfortable. There is a good chance your mother will not feel up to eating a large meal anytime soon. Smaller, more frequent meals are usually preferable following surgery. Check with her doctor to see if there are any specific dietary recommendations; soft foods, water and soup may be advisable. American Cancer Society. (n.d.). Surgery for Colorectal Cancer. National Institute of Health. Medline Plus. (n.d.). Total Colectomy or Proctocolectomy Discharge Instructions. National Institute of Health, Medline Plus. (n.d.). Total Abdominal Colectomy.